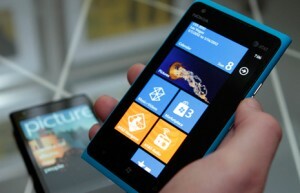 Nokia’s Lumia 900 has been predicted by the IT professionals to be the first Microsoft’s Windows Phone. As soon as it has been introduced; the competition between the iPhone and the Lumia has resulted in a tug of war in the industry. Lumia 900 happened to be a big gigantic launch in the Nokia’s overall successive business stream. The Nokia happened to raise curiosity among masses. It launched a totally Windows based phone that was posing grounds of competition for the iOS based iPhone 4S. iOS phones are promising and good phones but they have poorly managed systems that are hectic, tiring and bad for the consumers. In the following piece of writing, a step by step approach shall be followed to narrate the feature of Lumia 900, which makes it more appealing product than the iPhone 4S. It poses an 8 mega pixels camera in rear and a 1 mega pixels camera in the front region with LED flash and Carl Zeiss Optics. It has the ability to record about 720p videos. Moreover it a display of 4.3 inches wit ClearBalck technology used in its screen. Lumia 900 comes up with a Microsoft brand new GUI created especially for it, the conception is totally new and the interface is truly appealing, with the title of METRO. Though Microsoft created this software earlier and the most awaited was the right kind of hardware which would suit this catching and interesting software. But now the Nokia’s Lumia 900 has solved this issue. It is fast, quick and easy to use with a booting time of 30 seconds. However its counter party, iPhone 4S have a booting time of 50 seconds. Moreover calls, data transfer features, MMS and voicemail facilities are completely MIA in Lumia. Once somebody unlock the Lumia 900’s set by sliding it, sharp differences pop out between this phone set and the iPhone 4S. The GUI gives a review of the application list in an alphabetical order. After about 40 applications have been installed in the phone, the list would form separators for each alphabet on its own. It comes with a great variety of applications in the form of AT&T Navigator, AT&T Radio, AT&T Scanner, ESPN applications, creative studio for photo editing, Nokia Maps, Nokia navigation and many others that make it far better than an iPhone 4S. It comes with the whole Microsoft Package, enabling the consumers to view, type, edit and do much more using the MS Word, Excel, Power Point on their phone. Path is software that comes up with these amazing phones and enables photo sharing options for a user who is fond of sharing his day to day snapshots. All the above features are some of the alluring, novel and creative characteristics of Lumia 900 that makes it far a favorite option for those who understand the usage of applications, design and GUIs. The technology literate users would definitely prefer this Smartphone over iPhone 4S.